While businesses are looking for the latest and greatest technology trends to hop on this year, Microsoft is trying to look at the bigger picture. 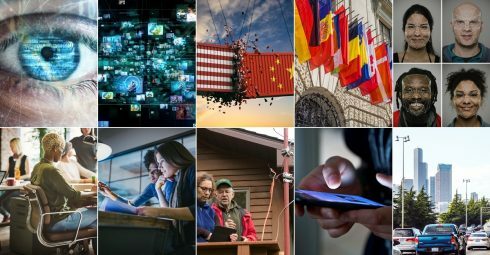 The company’s president and chief legal officer Brad Smith released his top 10 technology developments for 2019 as well as the societal impact the developments will have. Privacy: Privacy played a huge role last year with the General Data Protection Regulation (GDPR) going into full effect in the European Union, and 2019 will be no different. According to Smith, this year businesses will continue to understand and interpret the regulation. In addition, regulations like the GDPR are expected to spread to the United States, with the California Consumer Privacy Act expected to go into effect by the beginning of 2020. “Ultimately, privacy is a priority that technology can do more to help advanced as well. With the issue itself continuing to spread around the world, look for more tech companies to invest in privacy-related innovation,” Smith wrote. Disinformation: With more and more people on social media platforms like Facebook, Instagram and Twitter, businesses and government officials are trying to understand how nation-state disinformation campaigns can have an impact on social media platforms. The Senate Intelligence Committee recently subpoena data from major platforms and found “more than 30 million users shared state-sponsored Facebook and Instagram posts.” According to Smith, this year will look at how to address the problem with a number of platforms implementing new protections. Protectionism in the pacific: “The New Year will see an extended debate on potential new U.S. export controls on artificial intelligence and other emerging technologies. The EU is considering limiting foreign acquisitions of local tech start-ups. The tech sector could be in for a bumpy ride,” Smith wrote. Digital diplomacy: Cybersecurity continues to be an ongoing issue and concern. 2017 saw big state-sponsored cyberattacks such as WannaCry and NotPetya, and 2018 wasn’t safe from IT threats either. However, Smith notes that in 2018 we took new steps to improve and strengthen cybersecurity protection. “The past year brought more focus on securing hardware from the chip level on up, but new customer features to protect vital cloud services also remained a priority. One of the broader innovations came from Microsoft itself, where our Azure Sphere initiative aims to build next-generation security across the entire ecosystem of billions of microcontroller devices. We’re coupling this with continuing additions to our operational security work, including the AccountGuard program to strengthen threat intelligence for political campaigns,” Smith wrote. He also explained digital diplomacy is spreading to the tech sector and companies are beginning to unit to strengthen its cybersecurity defenses. Ethics challenges for AI: This one should come as no surprise as Microsoft has been rallying technology companies and tech officials to create safeguards for things like facial recognition. Smith believes this is an issue that is just getting started. “The early months of 2019 will see the legislative focus in the U.S. shift to state capitals, with the issue likely to move to Washington, D.C. before the year ends. In the EU, authorities are monitoring facial recognition and other biometric techniques under the GDPR, and the European Commission has started reviewing the ethical issues more broadly,” he wrote. AI and the economy: As artificial intelligence advances, there are concerns on how this will impact the supply of human workers. Society is beginning to question whether or not AI will hurt more jobs than it will create. Smith expects this year will see an emergence of new private and public sector programs to provide employees with the skills they need for today’s advanced technology world. The people side of technology: 2018 shed light on the work and progress needed to be made about immigration and diversity within companies as well as focused on several key immigration issues. “Immigration and diversity issues remained top of mind across the tech sector in 2018. The year had its dramatic moments, including a worldwide employee walk-out at Google based on concerns regarding treatment for women and employee activism at Microsoft, Salesforce and Amazon regarding technology for U.S. immigration authorities,” Smith wrote. Sovereignty, human rights and the cloud: “When this decade began, there were some who thought the tech sector could serve the world exclusively from datacenters located in the United States. As the start of the next decade nears, more governments want their public sector or even their entire country’s data housed in a datacenter within their own borders. It’s creating increasingly complicated issues for the world,” Smith wrote.